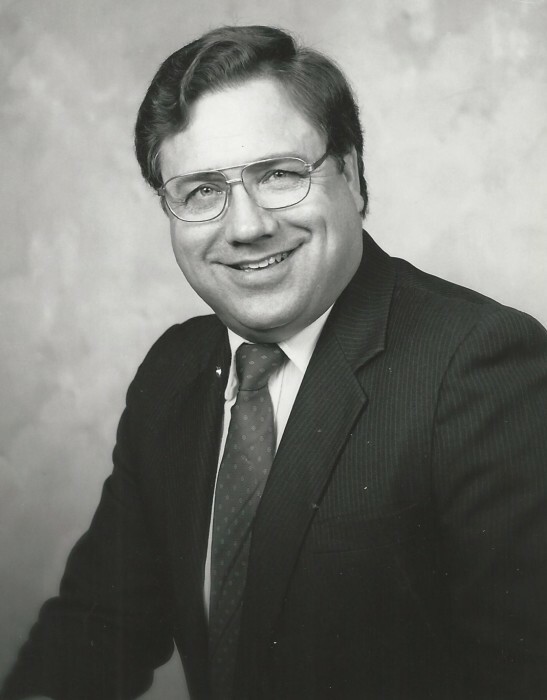 Obituary for Ned A Speiser | Schaffer Funeral Home, Inc.
Of Sherwood passed away peacefully, surrounded by his loving family, at Parkview Regional Medical Center on Friday, March 22, 2019, following a 16 month fight against lymphoma. Born on December 4, 1943, to Murl and Beryl (McFeeters) Speiser, he grew up on the family farm in Delaware Township. He proudly lived in Defiance County his entire life, except for a six month period at Bible college in Texas. Survived by Carol (Shively) Speiser, his beloved wife of nearly 55 years. They were married in Benzonia, MI on June 26, 1964. Also survived by his two children: Sandra Speiser (Chris English) of Ellicott City, MD, and Mark Speiser (Trish Sanford-Speiser) of Defiance; four grandchildren: Ashley Speiser, Defiance, Samantha Speiser (Brad Drebushenko), Brunswick, ME, Maya English, Ellicott City, MD, and Andy English, Ellicott City, MD; great-grandson: Milo Drebushenko; and sister-in-law and nephew: Viola and Rick Speiser, Defiance. Viola first met Ned when he was just six months old. Pre-deceased by his parents and brother, Gerald Speiser. Ned lived a life of service to his community. He served faithfully as Pastor at Olive Branch Church of God (SR 15, Defiance) for 57 years - yes, starting at age 18! - and, together with Carol, worked at the Ned A. Speiser Insurance Agency (Defiance) for 47 years. In 1976, he was elected to his first of three terms as Defiance County Commissioner. He was particularly proud of his involvement in the development of Island Parkway Manor Senior Housing in the mid-1980s. He served in numerous other positions in the community including Chairman of the Defiance County Chapter of the American Red Cross and Director of Defiance County Emergency Management. In 1995, he was a founding member of the Delaware Township Fire Department, serving as an EMT and later, chaplain. Everyone who knew Ned was well aware of how much he enjoyed his dogs, “big boy toys,” and eating. Remember Ned fondly when you pet your dog, drive your tractor, or eat a piece of pie. Visitation will be held on Thursday, March 28, 2-4 pm and 6-8 pm at Schaffer Funeral Home, 529 Jefferson Avenue, Defiance. A service celebrating Ned’s life will be Friday, March 29 at 1:00 pm at Olive Branch Church of God, State Route 15, Defiance. (Viewing will not take place at the church.) Burial at Sherwood Cemetery is private. In lieu of flowers, memorials may be made to one of the following: Olive Branch Church of God, Secretary/Treasurer, 17344 Lockwood Road Defiance, OH 43512, Gideons International, PO Box 671 Defiance, OH 43512, or Home Away From Home at St. Vincent Medical Center 2213 Cherry Street Toledo, Ohio 43608. Online condolences can be given at www.Schafferfh.com.